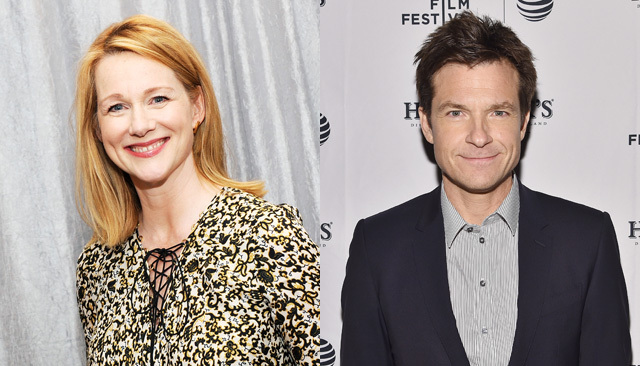 FROM THE OZARKS TO THE SUBURBS: Director/executive producer/star Jason Bateman and his co-star Laura Linney are in Chicago this week doing some filming for the Netflix series OZARK. Grounded in dark reality, this one-hour drama revolves around financial planner Marty (Bateman) and Wendy Bird (Linney) and their family’s sudden relocation from the suburbs of Chicago to a summer resort community in the Missouri Ozarks. Rather than the familiar skyscrapers and trading floors, OZARK explores capitalism, family dynamics, and survival through the eyes of (anything but) ordinary Americans. The ten-episode first season will premiere on Netflix in 2017. IT'S SHAMELESS SEASON: William H. Macy, Emmy Rossum and the rest of the cast and crew of the hit Showtime series SHAMELESS has been in Chicago this week filming exterior scenes for season seven. After wrapping up here, the crew heads back to Los Angeles, which the bulk of the season is filmed. The new season of SHAMELESS will premiere on Showtime, Sunday, October 2 at 8:00 pm Central. SOUTHSIDE WITH YOU IN THEATERS TONIGHT: Filmed in Chicago by a production team that includes Chicago producers Bob Teitel and Carrie Holt de Lama, the Barack and Michelle Obama first date flick SOUTHSIDE WITH YOU heads into theaters nationwide August 26th. Teitel was joined by stars Parker Sawyers and Tika Sumpter as well as executive producer John Legend for a standing-room-only sneak preview of the film at Music Box Films last night. Click here to visit SCREEN's TRAILER PARK, check out the trailer and find showtimes in your neighborhood. Mike McNamara is the Co-Founder of The Midwest Independent Film Festival, www.midwestfilm.org. Mike pays his rent as an actor in Chicago in theatre, commercials, television and film. More from Mac at www.findmac.com.